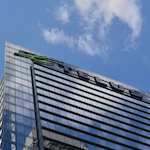 Toronto, Canada, will be the location of RAG’s 2019 North American conference, with TELUS generously hosting the event in their impressive tower block, situated right in the centre of the city. The event will be held on Wednesday 19th and Thursday 20th June. All talks will be in English. As with all RAG conferences, risk and assurance professionals who work for telcos or regulators are welcome to come for free. We intend to build on the success of last year’s North American conference, hosted by Sprint in Kansas, by continuing to explore the industry challenges that were discussed at that event whilst presenting new success stories drawn from telcos around the continent. 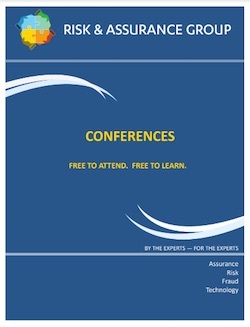 The conference will cover fraud management, revenue assurance, security, cost management, margin assurance, other kinds of business assurance, enterprise risk management, analytics and credit risk. The conference will open with a keynote panel discussion on “The Practical Benefits of Cooperation”. This will explore the ways the three largest Canadian telcos help each other to combat fraud, as well as reviewing the potential for further industry collaboration, both within Canada and across borders. The panellists will be event host Jacqui Biggart, who oversees fraud as part of her role in managing technology security at TELUS, Katherine Butterworth, Senior Manager in the Fraud function at Rogers, and Delia Guglielmi, Senior Manager for Fraud Control and Detection in Bell Canada’s Corporate Security function. John Brooks of Subex is always guaranteed to please the audience with a mix of anecdotes drawn from his long career and insights into the latest industry developments. He will return to RAG to speak on the topic of “Securing a Multitude of Devices and Revenue Streams”. Few fraud consultants can rival David Morrow, who has decades of experience of investigating fraud for Vodafone Group and the UK’s tax authorities. The contributors to Dave’s fraud panel will include well-known Canadian fraud expert and industry leader Krista Saarinen, and the Managing Director of Six Degrees, Bryan Rowe. After many years of managing fraud, RA and billing inside telcos, John Haraburda of iconectiv understands how to engineer practical solutions that mitigate operational risks. His presentation will address numbering, routing and margin management. A second fraud-oriented panel will ask whether telcos should be selling fraud detection and prevention as value-added services to their customers. Philip Cannis of Oculeus will be amongst the panellists. Amyn Sarif, Senior Program Manager for CyberSecurity DevOps at TELUS, will give a presentation on “Making the Business Case for Cybersecurity”. Amyn will discuss how to determine the expected return on investment in cybersecurity, and how to put a financial value on a security breach. Though Amyn will draw on his deep knowledge of cybersecurity, his insights will also have relevance to all risk and assurance practitioners who face challenges when forecasting and explaining the impact of their work on the telco’s bottom line. Experienced telecoms security manager Dana Adams will bring a combination of knowledge and wit to his role as moderator of our panel discussion on topical issues in cybersecurity. Grant Merrill blew the audience away at RAG Kansas in 2018, telling them about the advanced techniques used for business assurance and analytics by his team in CenturyLink. In rapid succession Grant covered: artificial intelligence, robotic process automation, order processing, statistical controls, data lakes, and the development of his staff. So we had to bring Grant back at the first opportunity, giving the Toronto conference the opportunity to learn about the latest projects run by Grant’s team. Mahesh Thakkar, Director of Revenue Assurance & Fraud Management at Freedom Mobile, will tell the audience about the RA systems that his company has implemented. Alongside her many accomplishments whilst working for Verizon, Kathy Romano gained a reputation as one of the pioneers of revenue and cost assurance in North America. Kathy will join us to moderate a panel on revenue and cost assurance. Her panellists will include Floriano Paulino da Costa Neto, a highly experienced Brazilian risk and assurance professional who currently serves as the Business Assurance Director for Oi. Sticking with tradition, RAG Chief Exec and Commsrisk Editor Eric Priezkalns will oversee the closing ‘Wise Heads’ panel, where industry veterans will review the key takeaways from the conference. The conference will be held at the TELUS office building known as TELUS Harbour. The location is marked on the map of Toronto below, and the address is: 25 York Street, Toronto, Ontario M5J 2V5. There is a very wide range of hotels in downtown Toronto, many of which are within walking distance of the conference venue. Some of these hotels are marked on the map above. We always recommend you check the online agenda for the most up to date schedule of conference talks and panels, but we appreciate some telco managers would like to see a brochure before making the decision to attend. A printable PDF brochure will be made available in due course. Managers and staff employed by telcos or telecom regulators may participate in RAG Toronto for free, so long as they register using the email address associated with their employer. Academics who engage in relevant research may also register for free. Registrations are managed via Eventbrite; click the button below to begin. Please complete all the fields to register. Sponsoring businesses may send their representatives to RAG Toronto. If your business is interested in participating in RAG events then please make your initial query through our contact form. RAG allocates a limited number of complimentary seats for freelance consultants, subject matter experts, and other industry leaders. To maintain a balanced audience, these seats will only be made available to specific named individuals. Invitations will be emailed in due course. If you wish to be added to the guest list you should contact a member of the RAG Committee, or else ask the host or one of the sponsoring buisnesses to forward your request.